Callie and Mariana officially have another season to get into more Good Trouble. Freeform officially announced on Tuesday at the Television Critics Association winter press tour that The Fosters spinoff has been renewed for season two, after airing just four episodes to date. Last week, the series hit new series highs in women 18-34, women 18-49, and females 12-34 demographics in Live+3. The renewal should come as no surprise as the show has averaged 939,000 viewers per episode with the fifth episode set to air later tonight. 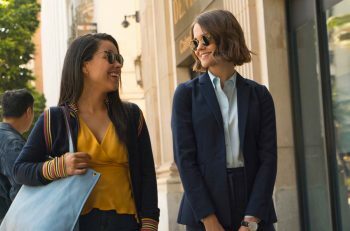 The show follows sisters CallieAdams-Foster (Maia Mitchell) and Mariana Adams-Foster (Cierra Ramirez) as they enter the real world in LA following their college graduations. Mariana is faced with the harsh reality that the world of tech is not seen as a “woman thing”, while Callie is dealing with clerking for a federal judge with opposing views. Mitchell and Ramirez serve as executive producers along with Joanna Johnson, Peter Paige, Bradley Bredeweg, Gregory Gugliotta, and Christine Sacani. 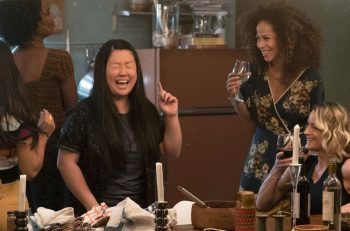 Are you happy Good Trouble is back for another season? I know I am! Let me know in the comments below. Good Trouble airs Tuesdays at 8/7c on Freeform.